Owned by Calworth Furbert, this tour operator offers private bus tours in Bermuda for larger groups for up to 15 persons in their mini buses. 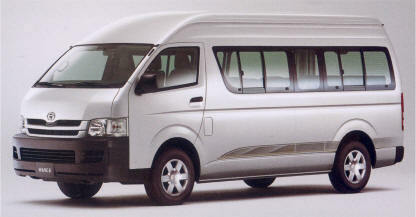 However you can book more than one such buses to accommodate even larger groups. They also offer airport pickups and drops, golf & wedding transportation and cater to special requests and arrange larger vehicles if you need. Furbert has over 40 years of experience in Hospitality industry and has been a veteran in Bermuda. They offer different kinds of guided tours including Dine Around Tours, Shopping Tours and Sightseeing Tours with experienced guides. The Dine Around tour provides ample choice of restaurants in the island. There are special packages available for groups. The dine around tour takes place on Tuesdays and Fridays. David Winston for Men's Fashions. This is a designer men's stores having a notable cedar entrance. Some of the main brands include Armani, Hugo Boss and Van Gils. Boutique CC for Ladies Fashions. This trend setting store is one of the island favorites. Cécile for Ladies and Children's Fashions. This is a designer fashion store featuring brands like Emilio Pucci, Armani Collezioni, Tibi, Milly, Missoni M, Lilly Pulitzer, Basler, Gottex and Manual Canovas. The English Sport Shop for Men's, Ladies and Children's Fashions. This is one of the best stores in the island for original Bermuda Shorts. Lusso for Men's and Ladies Accessories. This Italian designer store features brands like Fendi, Ferragamo, Jimmy Chou, Miu Miu and Prada. Marks & Spencer - Men's, Ladies, Children's and Food Hall. This British Departmental store in Bermuda is well known to both locals and visitors. It offers lingerie, clothing, bath & body and grocery items. Great place to pickup a bottle of wine and lunch packs. Bermuda Triangle Tours has an office at the International Airport.